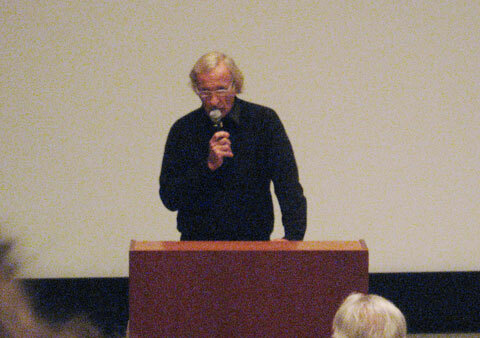 John Pilger's new movie the war on democracy has been screened during the international documentary festival in Montreal (Rencontres Internationales du documentaire de Montreal) on Monday, 12th October, 2007 , during one of Concordia's cinemapolitica days. It is an amazing movie, featuring the attempt and the struggle of south American countries to get out of the U.S.suppression and influence. It was really impressive to see the filmmaker, who was present and answered questions after the screening.